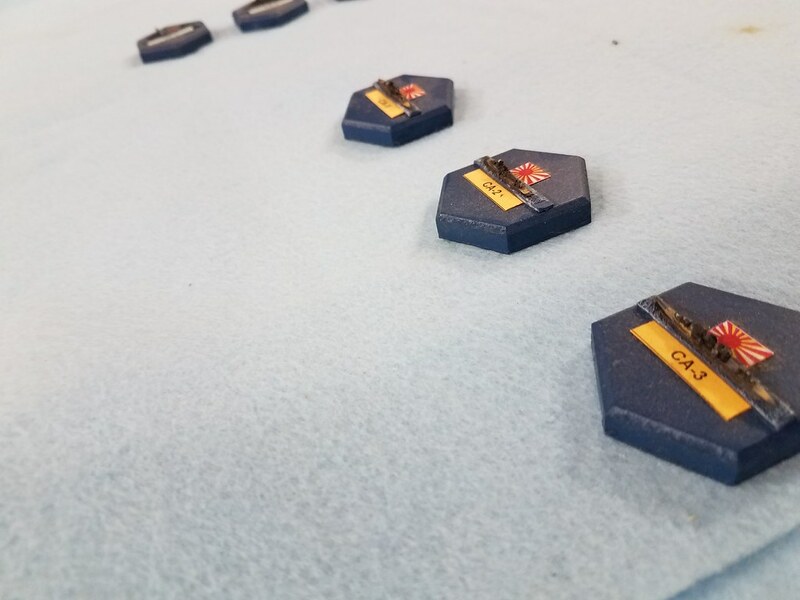 On Friday evening at Cold Wars, the Second Battle of Salvo Atoll was fought using the draft rules Biplanes & Battleships – Dice at Sea. The rules address a counterfactual naval war between Japan and the US in 1931, as suggested in Hector Bywater's book, The Great Pacific War. 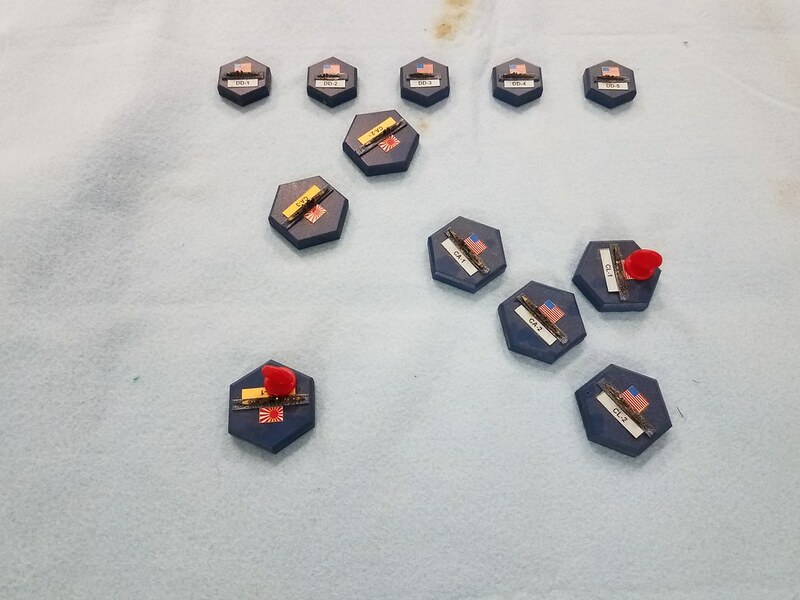 The game was played with 1:6000 scale ship models on hexagonal bases; the bases simplify visualization of firing arcs. 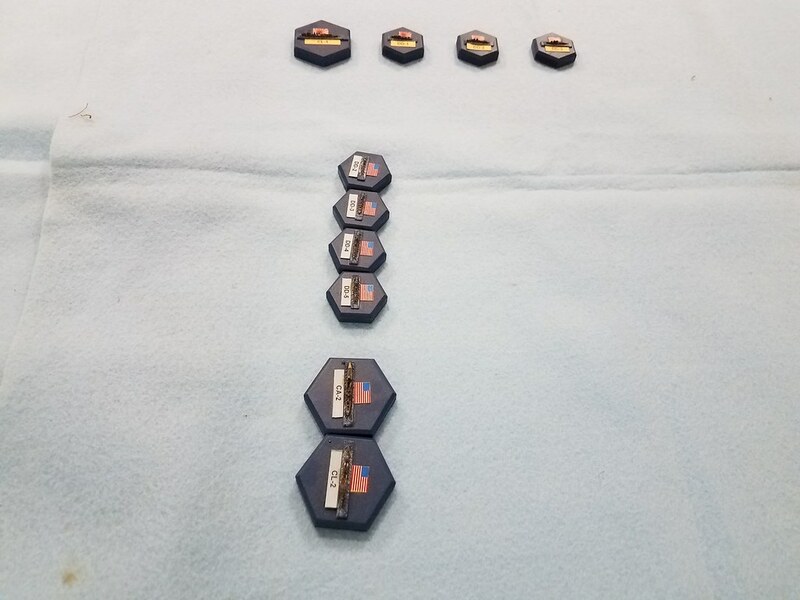 (1)	Get their supply convoy off the far board edge. Table was 6 ft x 8 ft.
(2)	Conduct bombardment of US positions. IJN Heavy Cruisers must be within 2 ft of SE board corner. The Americans want to frustrate the Japanese, and sink their ships. It is a night battle, with visibility limited to 6-inches. Ships firing or illuminated can be seen at 18-inches. Photo 1 – Blinds on the table. The flag icons make ID at a glance easy. Photo 2 – First contact! Cruisers face off – USN crossing the "T"
Photo 6 – Sinking ships, three Japanese CA sunk or sinking. Photo 7 – Three Japanese blinds remain. Photo 8 – A blind spotted, reveals a phantom. Two blinds remain. 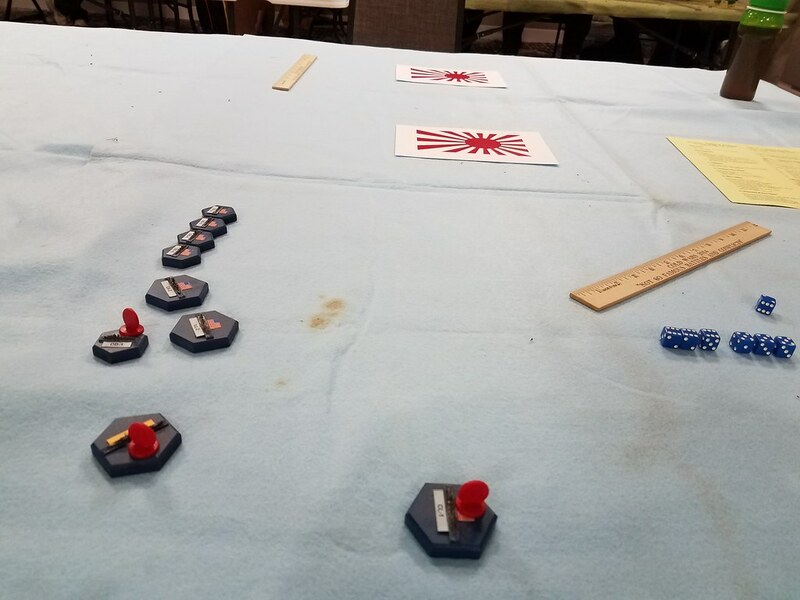 Photo 9 – Japanese DesDiv launches torpedoes along the entire American battleline. At this point the game was called. The American player did not seem to enjoy the game, however the Japanese player had a blast. 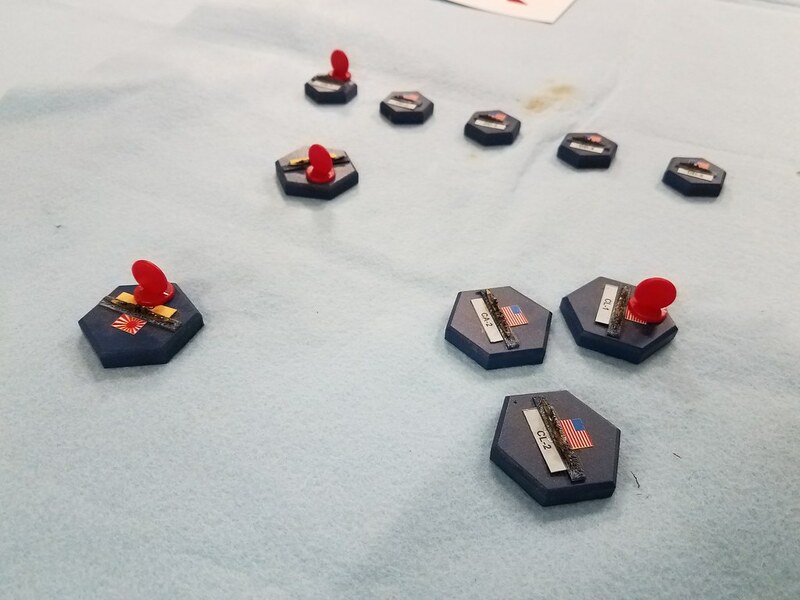 The American player seemed put out when we rolled the torpedoes to hit every for ship down the line --- none were actually hit. The Japanese lost three heavy cruisers while sinking a US heavy and light cruiser and one destroyer. Overall, a draw. 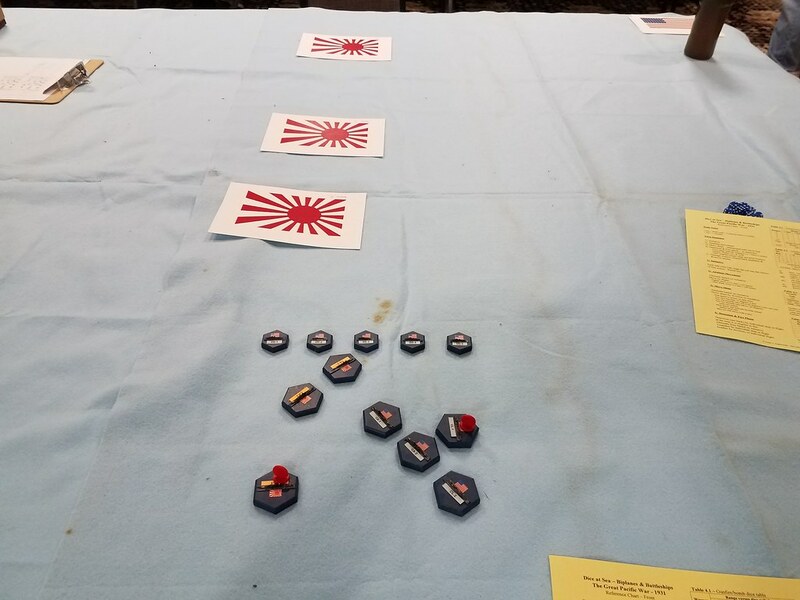 Losses favor the US but the Japanese got their supply convoy through. 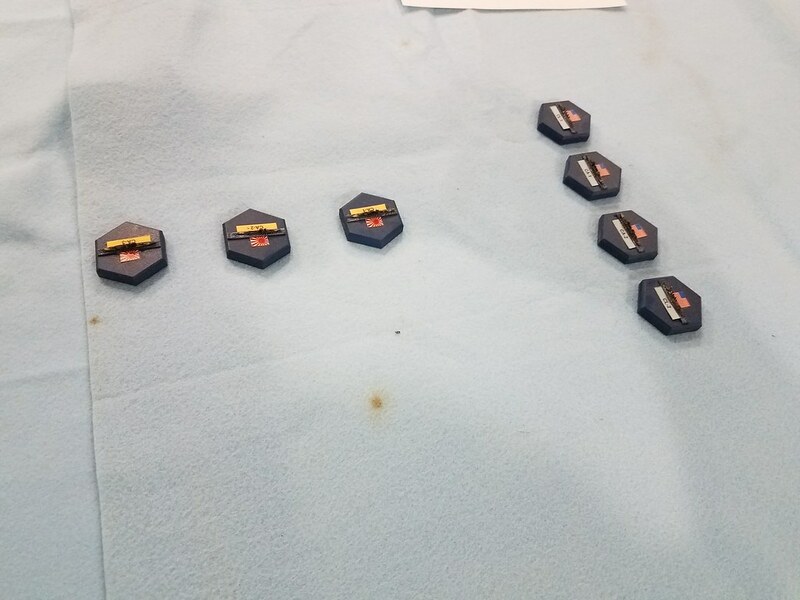 Man, those bases are huge. It just soaks up the ships. I use three different base sizes in the game. One for capital ships, one for cruisers, and one for escorts. 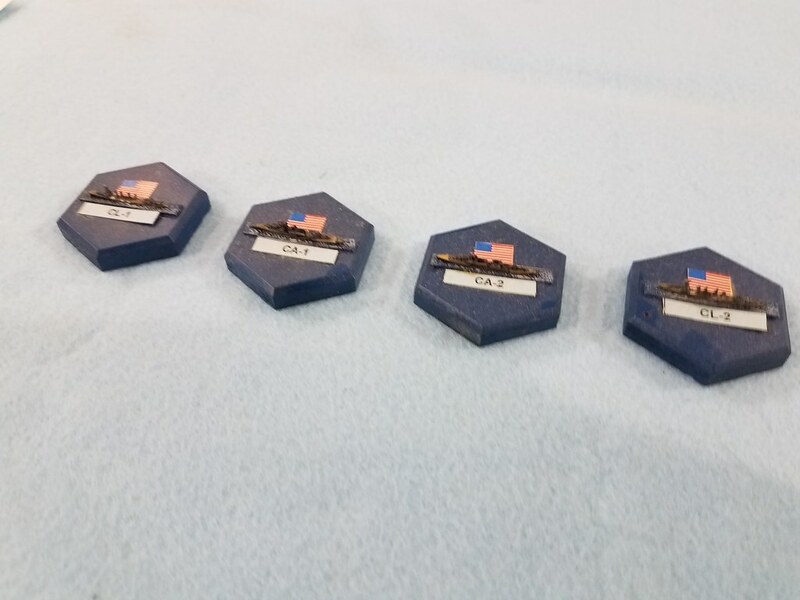 It makes it easy to ID the ships. When you come right down to it, there is less distortion in ship to ground scale here than in most other games: 1/6000 ships & 1:24,000 scale terrain, a factor of 4. Moreover, using 1/6000 ships you can have every ship in the fleet without breaking the bank. Interesting period; a friend and I are looking into the possibility of naval games in the Spanish Civil War. Are these rules available in a playtest version? 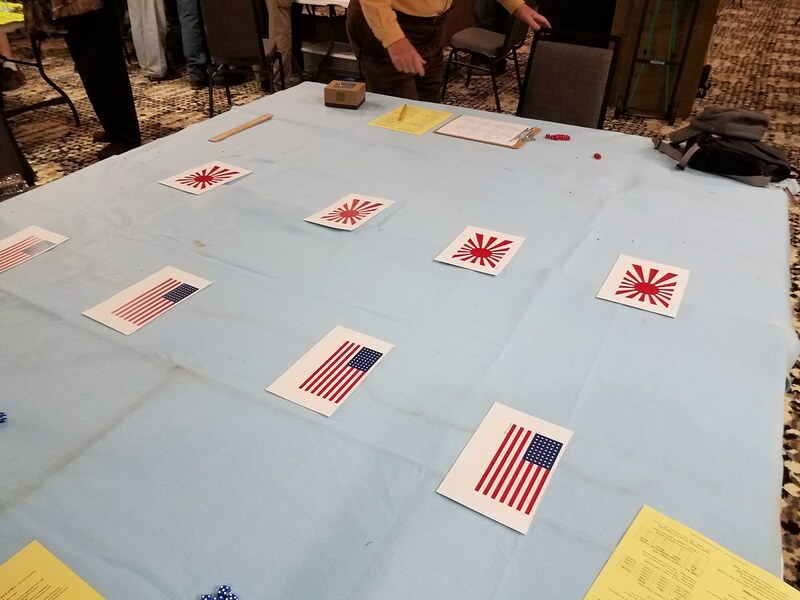 To the Gentleman who played Japanese in the Cold Wars game: Sorry, I misplaced your contact information. Please send me a PM. Sounds interesting. Is there somewhere we can find out a bit more about the rules? Drop me an email at jescarbo at yahoo dot com.